Though the 5x optical zoom on the 16MP Cyber-shot W710 isn't massive, it will give you some extra reach when trying to frame far away subjects. Optical stabilization helps pictures come out sharp. The few features include face detection and panorama and are easy to access and understand, thanks to the simple controls and interface. Image quality is a step up from a camera phone and very good for a budget shooter. 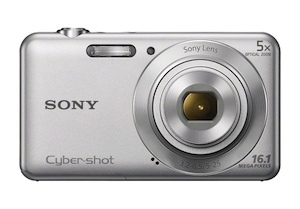 For more cameras, check out our 2013 Digital Camera Buying Guide.